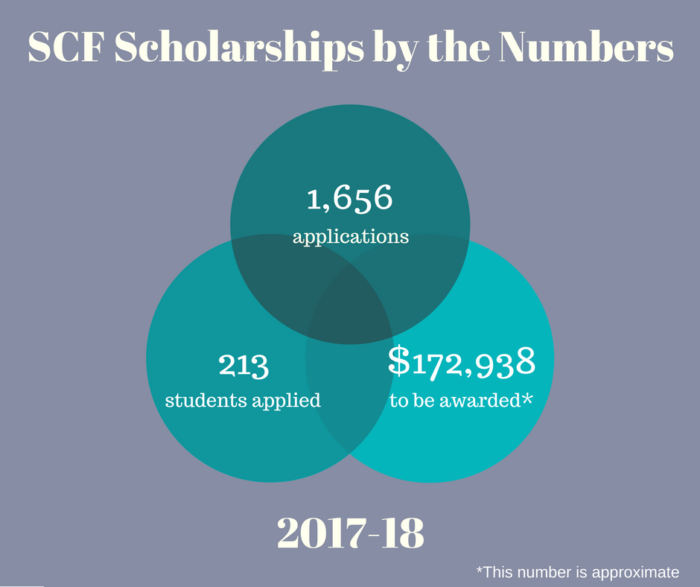 The 2017-18 scholarship cycle closed on March 9, 2018 with a record number of applications: 1,656 applications were received from 213 students. Students were able to apply to more than one fund, providing they met each fund’s eligibility criteria. With 75 distinct scholarship funds, this resulted in quite a stack of paperwork! The applications will be reviewed by several committees, and the final scholarship winners will be announced in mid-May. Be sure to check back on our website then for the official list of winners. Better yet, subscribe to our newsletter for all the latest updates.